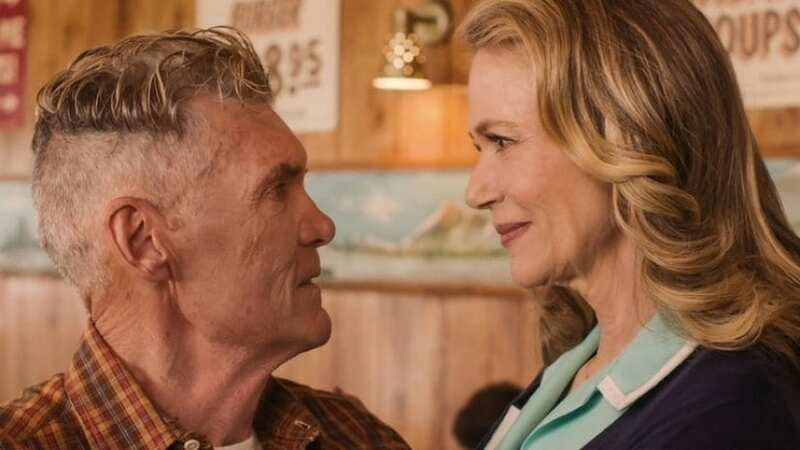 Writing this column every week, less than 24 hours after the latest part of “Twin Peaks: The Return” has aired isn’t easy. Some nights, like tonight, what I’m still trying to digest is emotionally difficult. Some weeks, it’s trying to decipher the mythological happenings and put forth an entertaining opinion worthy of your readership that’s difficult. I spend my Mondays talking to my fellow writers on the site but I go out of my way to not read anyone else’s work or spend too much time on social media until this column is written. I want these ideas and these words to be mine and mine only. You guys deserve that. I want to give that to you. This week, I feel emotionally heavy as I write this column and I’m sure some of you can relate. 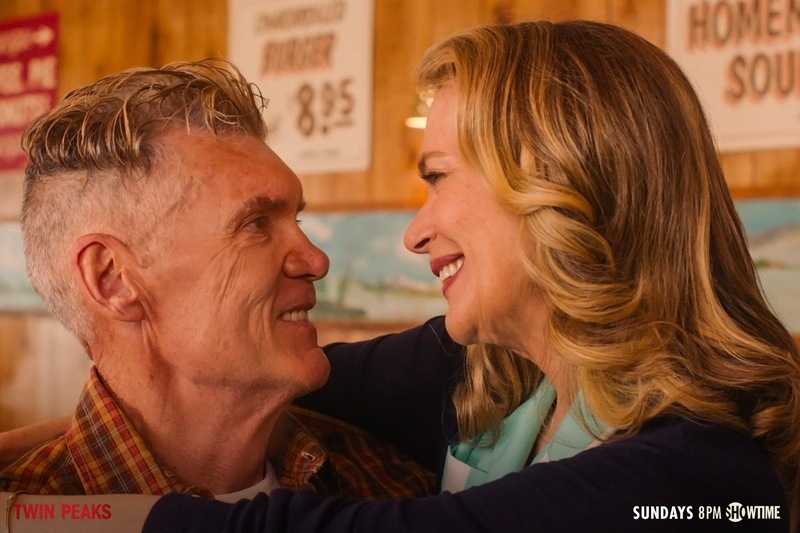 What we saw last night was the end of an era in our beloved town of Twin Peaks and additionally, another hour that raced us towards our narrative conclusion. There’s certainly a lot to unpack here so let’s get to it. Catherine Coulson, the actress and longtime David Lynch friend and collaborator died shortly after filming her scenes for this series. That was a huge gut punch to all of us because she was such a vital member of this community. She was in a lot of ways the heart and soul of Twin Peaks fandom. Yes she was a star on the show but she loved the world just as much as we do. She understood our love and embraced our obsessions. It was almost as if she were telling us that it was ok for us to be as loyal and as dedicated to a show that had been off the air for almost three decades the way we were. 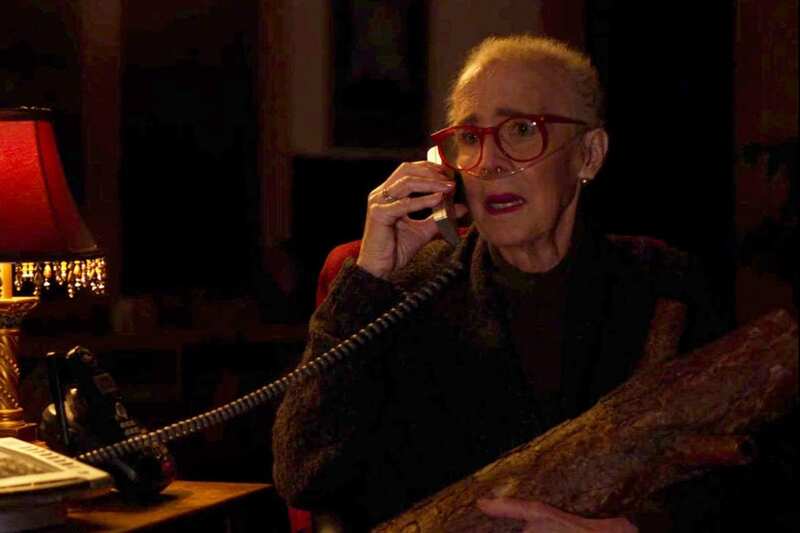 When The Log Lady appeared in Parts 1 and 2 (I have a hard time separating them due to watching it as one long film) it was one of the most cherished scenes of the show’s return. 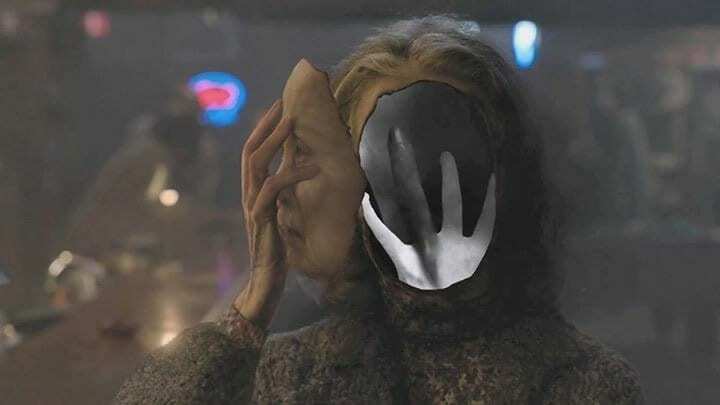 There was a lot of speculation that we wouldn’t see her again and I know I personally treated that as a goodbye to one of my favorite characters ever. However, we’ve been treated to several scenes with The Log Lady since then, her part staying ever as important as it was during the show’s first run. Last night when she told Hawk she was dying, those words were difficult to hear. So much of “The Return” has been about how different things are. Margaret was our rock, our constant, our connection to the way things used to be. Last night we lost the character Margaret Lanterman and an era ended with her death. The safe feeling she brought with her even in her dying days is gone. That link to the world we loved for so many years is no more. It’s true to life though – we lose people all the time whose roles in our life can never be replaced. We all had our chance to say goodbye to Catherine Coulson. Now we get to say goodbye to the character she portrayed and we loved. Thank you for playing such a special role in our hearts and in our minds. Another major end of an era event happened in Part 15: The evening started off with Nadine telling Big Ed that he was free. That Dr. Jacoby aka Dr. Amp had helped her see that she’s been selfish and manipulative all these years and she wanted Ed to be happy with Norma. Ed at first tried to talk her out of it but didn’t put up much of a fight. Ed drove his truck presumably as fast as he could to see Norma at the Double R to declare both his love and his freedom while Otis Redding’s “I’ve Been Loving You Too Long” set the mood. As Ed burst in and barely got a few words out, Norma quickly brushed him aside for Walter; her business partner and love interest. My first thought was of course. Norma’s finally moved on. Ed missed his window and this will continue to be the saddest story I’ve ever heard. 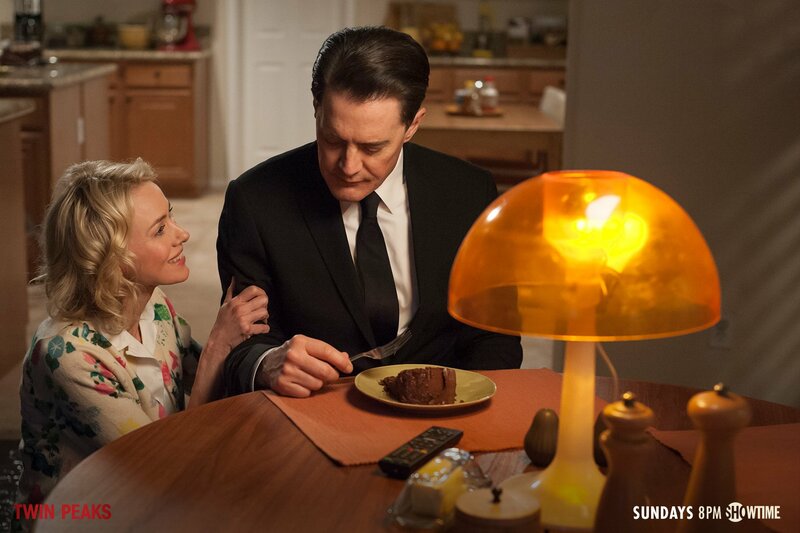 That was not the case though as Norma informed Walter that she wants to sell all of her other diners – save the original – and be with her family. Family? Will she finally acknowledge Annie? No of course not, she was talking about Ed. 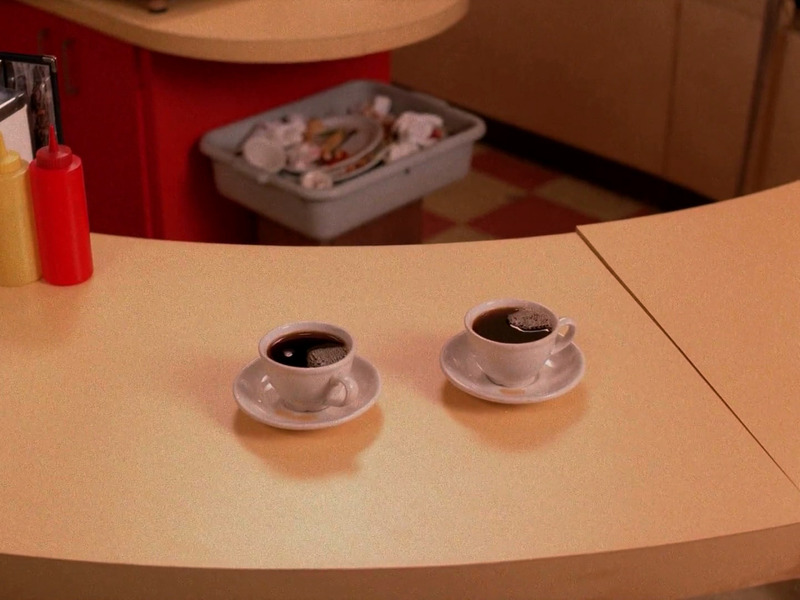 As Ed sat eyes closed, almost in a meditative state at the counter, we see Norma’s hand slowly grab Ed’s shoulder and all was right in the world. Shelly watched on like the basically adopted daughter she is as Ed and Norma embraced and Ed proposed. Now the show has taken us down this road before in Season 2 only to yank the rug out from underneath us. While I’m not expecting Nadine to re-enter the picture (Nadine is healing which has been a really amazing thing to see) I can’t help but wonder if Ed and Norma are cursed. For a while now I’ve been predicting a Bookhouse Boys reunion to defend the town. Could Ed be a casuality in the battle between good and evil? Would that just be the cruelest thing ever? Do I need a tissue just thinking about it? 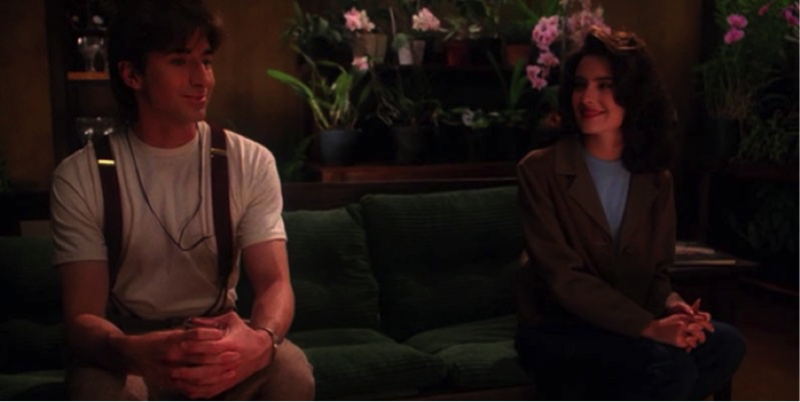 I know happy endings aren’t always Lynch and Frost’s forte but please give us one here. Ed and Norma deserve it. Mr. C had quite the night as he took us on a tour that pretty much redefined our concept of the Black Lodge. 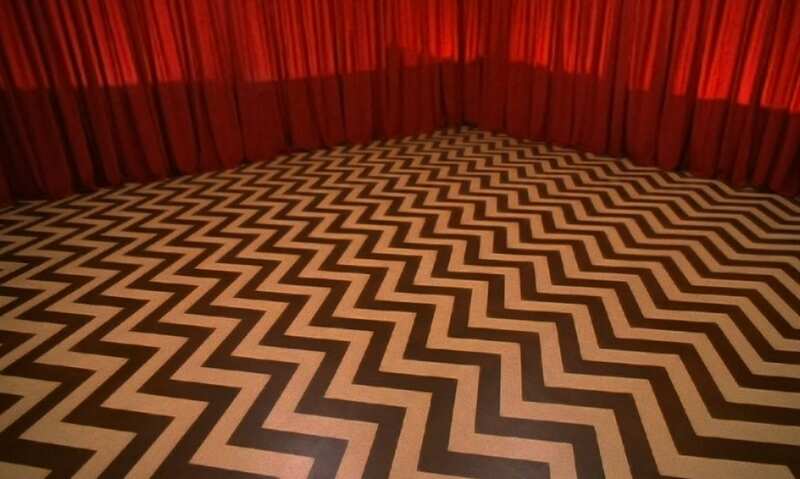 For years we always wondered if the rooms with the red curtains shown to us in the original series was just “The Waiting Room” or was it also the Black Lodge? 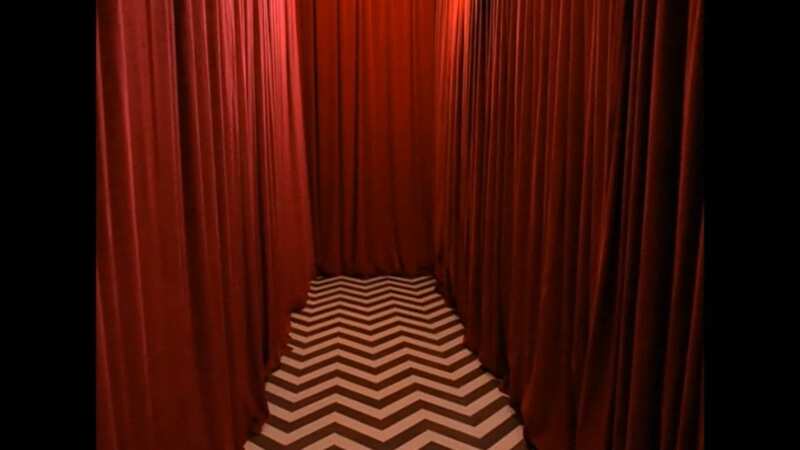 On Mr. C’s horrifying quest to find Phillip Jeffries last night, we got to see that the Black Lodge is a lot more than we ever dreamed. 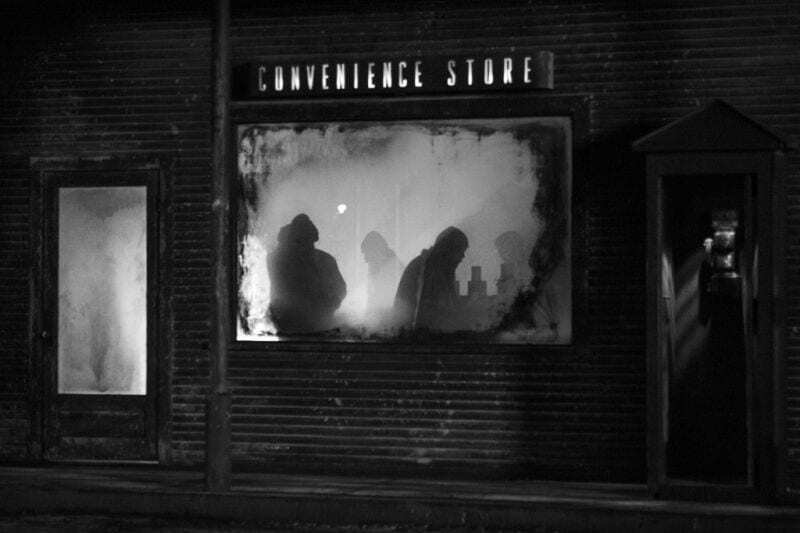 It has tour guides (the Woodsmen and creepy backwards talking lady), it has an entry point at the convenient store that takes you on a magical mystery tour, including a pit stop through the picture that Laura Palmer once hung on her wall in “Fire Walk With Me”. I couldn’t help but think of Andy’s vision during Mr. C’s quest. Was Andy being told how to access the Black Lodge? Is he the one with perfect courage for this mission? He just might be. Mr. C eventually found a giant tea kettle that reminded me a of mix between Eraserhead (notice the radiator) and The Wizard of Oz. For more on the Oz – Phillip Jeffries connection, please check out this amazing piece written by John Bernardy over the weekend We Long To See The Wizard, The Wonderful Wizard Of Lodge. Inside the tea kettle looking contraption lied Phillip, or at least his spirit? His voice? Still so many questions about this scene. Mr. C had questions but so did Jeffries. Jeffries said it wasn’t him that called Cooper five days ago (so who was it? Mike? Leland Palmer?) but said they used to talk. 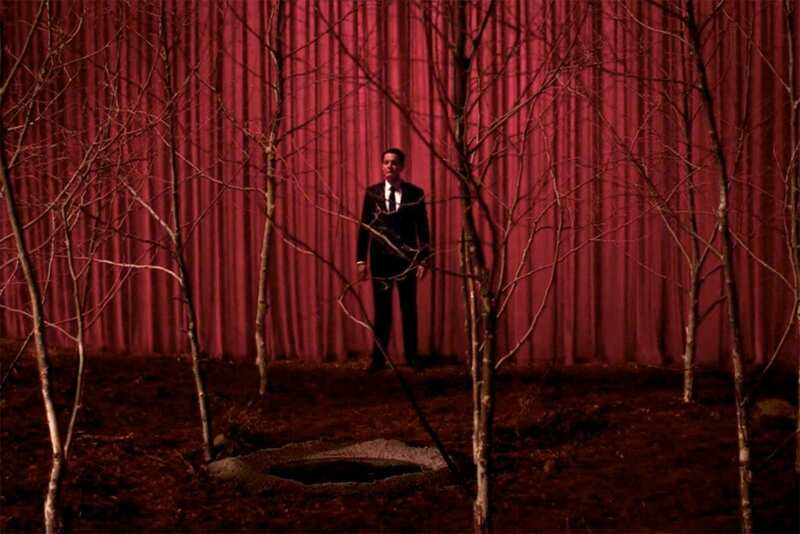 For the second week in a row, the David Bowie scene from Fire Walk With Me was shown and more clarification was given: Jeffries said “So you are Cooper”, confirming the theory that John Thorne has stood behind for years. 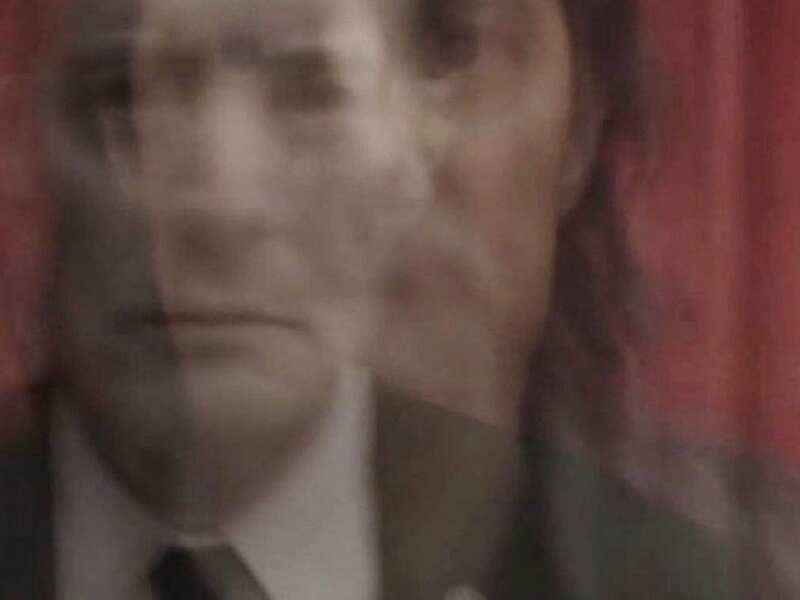 Our beloved Special Agent Dale Cooper was split into two beings. Mr. C happens to be Cooper, just Cooper as a cold blooded killer who only cares about what he wants. This says to me that even if Dougie wakes up, he’s still only half of Cooper. One of them has to go. As if this scene needed more, they started talking about Judy! We know we aren’t supposed to talk about Judy but Mr. C does what Mr. C wants. The only information Phillip gave on Judy was that Cooper already knows Judy. Let the speculation begin. The scene ended with numbers made out of smoke coming from the Jeffries-Kettle and a ringing phone, which once answered, took Mr. C back to his starting point where he was greeted by one Richard Horne. How much more can happen in this scene? 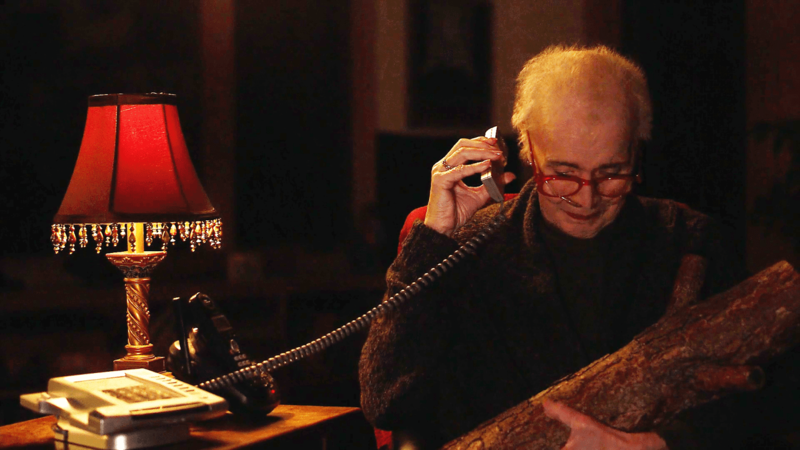 Horne confirmed that his mother, Audrey Horne had a picture of Mr. C and he knew that he was FBI. Mr. C seemed like he knew enough, took Richard’s gun, took Richard hostage and said they would talk on the drive. Before they left he sent a text that said simply “Las Vegas” which we know Diane received a few parts ago. Further confirmation that they timeline is all over the place and that all of the pieces are coming together. I’m still saying that Mr. C is Richard’s dad. Something tells me we’ll find out next week if that’s true or not. Quick hits: Speaking of Las Vegas, Mr. C had that mess cleaned up for him. RIP Mr. Todd and Roger……Freddie laying out the guys beating James up reminded me so much of Season 2 Nadine hijinks and I loved every second of it…..Mark Frost reprised his role as Cyril Pons, walking his dog in a scene that would result with Stephen (we assume) taking his own life. High out of his mind and not making much sense, one has to wonder if Becky was his victim before he took his own life? Was murdering his wife why we killed himself? Or will the story be her grief and Bobby and Shelly having to support their daughter through this difficult time? I still have no idea what’s going on with Audrey but my one big take away from Part 15 was that the dynamic between her and “I’m so tired Audrey” Charlie felt a lot more like the first time we saw them than the second time. At the moment, I’m at a loss for what’s going on there but I’m ok with that. Finally, Dougie hearing the name Gordon Cole in the film Sunset Boulevard and having his most intense reaction yet was a standout scene. As much as I want to go into more detail on it, the lovely and talented Eileen per usual will be covering all of the Dougie happenings tomorrow in her weekly feature, “Homeward Bound”. That’s going to wrap things up for me this week. A lot of really exciting stuff happening on the site so make sure you keep up with us on Twitter, Facebook or both. Until next time, I’ll see you in the trees………. Integration or elimination? Thus far there have been many references to soul journeying, alchemy, soul retrieval and redemption. Perhaps Dougie is the drop of gold at the heart of Cooper’s darkness.